After reading Dr. Winand's release on the origin of WFFS (warmblood fragile foal syndrome), it stirred my continuing frustration with the Arabian mythology the permeates our industry. 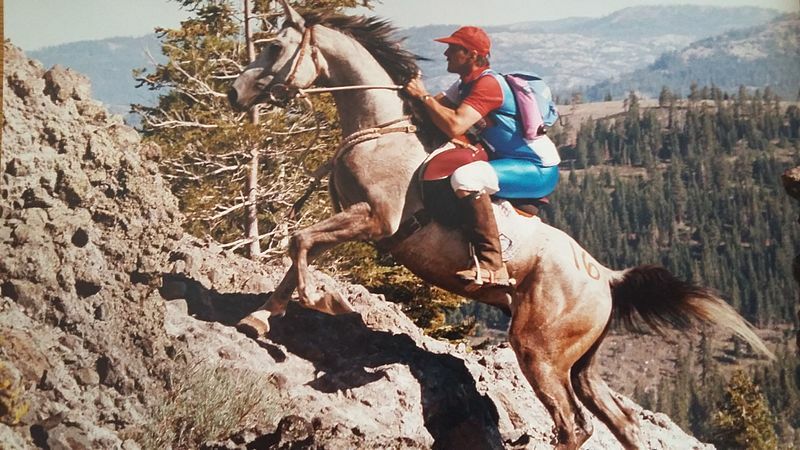 First, let me state this is not a criticism of the Arabian Horse itself, as any sport horse breeder will attest the Arabian is an excellent endurance horse, and we all admire their saddle qualities and refinement. This is rather about the Arabian culture teachings that are fantasy, that is, not supported by evidence and yet somehow persist century after century. Further, this is not a criticism of Dr. Winand's work either, just the prevailing operating theory that still, no matter how much evidence to the contrary, persists: that the Arabian is the foundation of the Thoroughbred, and the supplier of the speed. And here, in Dr. Winand's release, she identifies one of her working premises: "...Thoroughbreds which are descended largely from multiple Arabians." In the report if we read carefully (it took me a couple of reads and communicating with the Dr.), we can see Dr. Winand is at odds with the Westphalian association stating that WFFS came through Dark Ronald (Bay Ronald) Thoroughbred line. She made a very strong point that the 'real' culprit is further back and in the desert-bred Arabian. She has found a Dark Ronald ancestor with a history of stillbirths in its descendants, which she does not identify, a horse that apparently is one of the Orientals with no parentage that pepper the background of Thoroughbred pedigrees, and deducted that it had to be desert-bred because it had no pedigree? This is my issue: it is probably not a Arabian to begin with, because we have learned very few of those so named are in fact Arabian, and that it has no parentage does not mean it was bred in the desert. (The Turks for example, carefully bred their horses for centuries before they arrived in the English gene pool, usually in royal studs, often given as diplomatic gifts because of their excellence, and they did not come with lineage or it was not recorded on arrival). She does name the Godolphin Arabian as an example of a desert-bred Arabian, but that contradicts her peer Dr. Wallner's DNA work which determined that the founding sires of the Thoroughbred were Turks, not Arabians, plus multiple equine historians and pedigree examiners like MacKay-Smith, C. M. Prior, and our contemporary James R. Hardiman, have uncovered pedigree errors and false labels on many of the these horses (see their works listed in the References area at the end of this article). The reality is that very few true Arabians entered the Thoroughbred breed. So, what do I mean by Arabian mythology? I will just concentrate on two of the most common themes in my experience: 1. The Arabian is the source of speed to the Thoroughbred, 2. The Arabian is one of the oldest purebred breeds in the world. There is no evidence that I know of that supports these claims, yet they have been passed on for centuries. What is going on? Finally, I got an intelligent explanation from someone that has spent years researching the true origin of the Arabian and the fantasy literature that surrounds it. This scholar traces the myths to a phase of 'Orientalism' in English colonization of the east wherein the Arabian Horse was portrayed in a romanticized fashion. See the "Bloody Shouldered Pegasus" article link below for an example of this type of literature. The fallout from this propaganda phase is massive, with many people of standing jumping on board and expanding it, such as the Arabian breeder Lady Wentworth (owner of Crabbit Arabian Stud), who in many of her writings promoted the Arabian mythology as truth. In my own research on these phenomena I found some causative factors: King James promoted the Arabian and encouraged its use by breeders, and the General Stud Book demanded that all entries must trace on both sides of the pedigree to Oriental horses. Of course, this resulted in horses mysteriously gaining Oriental ancestry, horses having Arabian added to their names, and made up pedigrees so they could gain entry to the register. But there is more to be learned on the subject. More scholarly versions of her work have been presented at the World Conference for Middle East Studies, as well as at the Equine History Conference. And in July 2018 she presented " How an Oriental war horse became a European trophy horse: the Arabian 'improvement theory'. You can visit her work and updates at her website. It has always been a puzzle to me how the Arabian was claimed to be the source of speed to the Thoroughbred when it has never won a race against a Thoroughbred, even a part-Thoroughbred or the pre-Thoroughbred English racehorse: the English Running Horse; it always lost the match races, and they weren't even close finishes . 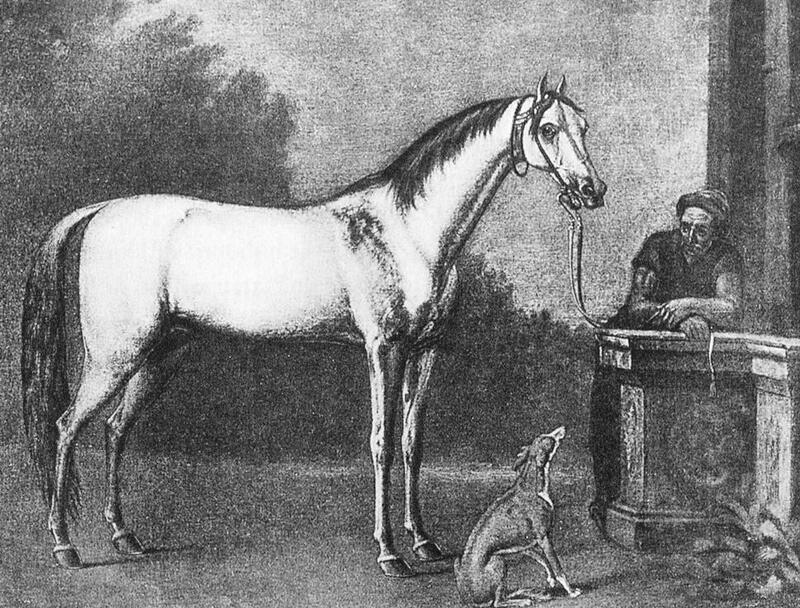 And this fact was known before there was a stud book, for back in the 1700s, the Duke of Cumberland, the breeder of both Herod and Eclipse, did breeding experiments, and he concluded that the Arabian cross lessened speed in the breed, never improved it. The Arabian myth spread everywhere the English horse went; for example, did you know our first President, George Washington, called any English bred horse a Arabian? Well, he did, and when he and Harry 'Light Horse' Lee brought the English Running Horse/Barb Ranger to Virginia from Connecticut, they changed the name to Lindsays Arabian, which resulted in generations of American equestrians thinking the Arabian was an essential portion of the American Horse. No true Arabian Horse entered the United States until 1800. One of the most tragic examples of damage done from romanticized Arabian beliefs, is found with the destruction of speed in the herd of the wealthy 19th century Kentucky breeder, A. Keene Richards. From his exposure to this mythical industry narrative, he became certain that adding pure Arabian into his herd would improve speed. Being a man of means he traveled to Arabia and sought out the best stallions he could buy, and he brought two of them home to improve his herd. He even had their portraits painted by Troye. The project was a disaster and like everyone before him and after who attempted it, he found the Arab cross lessened his herd's speed. Yet to this day most articles on the Arabian Horse proclaim it a source of speed. It is just not true. On the 'most ancient of purebred breeds' nonsense, Hylke has shown what is called the proto-Arabian, the Egyptian Horse, was not an Arab, but in reality was just the original Egyptian Horses, many of them pintos, and related to the modern Egyptian Baladi Horse. Some studies say that the first recorded lineage of the Arabian dates back to 1330 AD. But does that population or stud operation actually connect via pedigree to the modern Arabian? I have not found any real evidence that Arabs bred a purebred horse until the 1800s. Saying 'desert bred' where a recorded ancestor belongs does not cut it, and in no way explains breed development, indeed, we have our own desert bred horses right here: mustangs, and no one is trying to claim they are pure-bred. When I extend the Arabian pedigrees their ancestries vanish quickly. Some lines extend into the 1800s, but not many. What about the historical record? In ancient accounts of battles where Arabian tribes fought, never have I read they were mounted on horses or had horse powered chariots. Instead consistently, the record reports that the Arabs rode camels, and were very efficient in troop movement with them. Even in the Old Testament of our Bible, the accounts of the Arabs (Ishmaelites, Jokanites, Keturahites, Hagrites etc.) give us great details of their camel culture, how they had camel caravans moving goods from one area to another, describing the gold ornaments hanging from the camel bridles and the saddle clothes in great detail. The Old Testament contains the most accurate accounting of the ancient Arabian tribes. On the other hand, it is well documented that the Babylonians rode horses and drove horse drawn chariots, as did the Assyrians, the Egyptians and the later Philistines, but the Arabs? No, they rode camels. The truth is horse breeding came relatively late to the Arabians, and while they did develop an admirable breed, it is not one of the most ancient breeds in the world. In 2013 Dr. Barbara Wallner and her team set out to determine origins of the modern breeds using Y chromosome tracing and they theorized that all modern horses trace to just two subclades: the Turk and the Arab. I can understand the Turkoman as that population was at the foundation point of the domestic horse, but the Arabian? 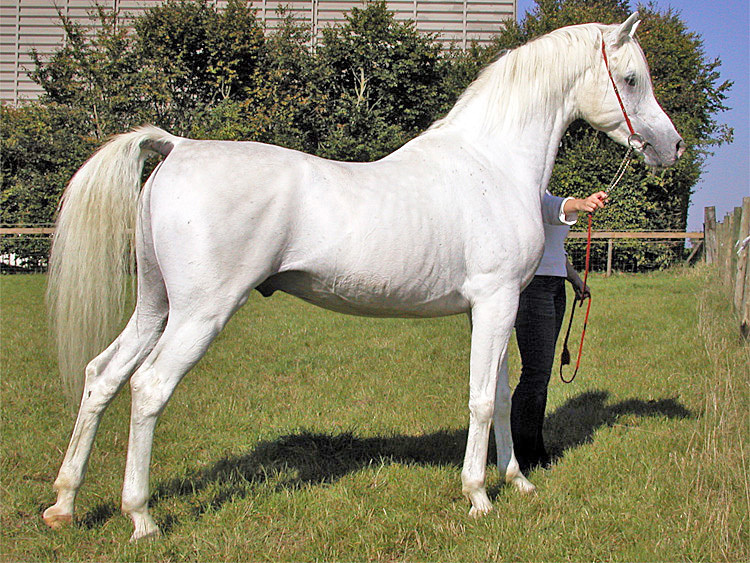 The Arabian subclade includes the Arabs, Barbs, Draft and pony breeds. I thought maybe they too are assuming the Egyptian and north Africa horses descend from the Arab? That thinking doesn't make sense as the Arab appeared at least 1500 years after the Egyptian and Barb and even the Spanish Horse of the southern Iberian Peninsula. I am not debating that the Arab genetically falls in this group, but is a descendant not the foundation of it. I wish they would clear up all this silliness. The Arabian Horse does not need fantasy claims to promote or validate it, because it is rated a fine light horse breed with tremendous stamina all on its own. It is a testament to the stellar qualities of the Arabian Horse that it dominates the entries and winners of the Tevis Cup, a full 85% of winners are pure Arabian or half Arabian. Nothing further needs to be said.